Head of Hamas's foreign relations Osama Hamdan said that his movement will not accept any ceasefire in light of the continued siege on Gaza. He told al-Resalah Net in an interview published on Saturday that the Israeli siege on Gaza is an ongoing aggression that must be stopped. Hamdan, however, ruled out the possibility of a large-scale Israeli aggression on Gaza. The military wing of the Popular Resistance Committees said Saturday that they reject any ceasefire that does not include breaking the siege on Gaza and "bringing back life to the West Bank and Jerusalem." During a news conference in Gaza City, a spokesman highlighted that no ceasefire would be discussed if it does not include providing “a good life” to Palestinians and that does not acknowledge their legitimate rights. The brigades called for “unity and joint operations” to face any coming attack, and called upon Arab and Islamic countries to urgently act to protect Jerusalem and its people and to break the siege on Gaza. They also called on the Palestinian security services in the West Bank to end “security coordination” with Israel and to support the Palestinians and protect them from Israel. Gaza militants fired a new volley of rockets into Israel Saturday, clouding Egyptian efforts to broker a renewed truce, after protests over a Palestinian teenager's murder spread from East Jerusalem to Palestinian towns in Israel. Israeli police reported clashes in three mainly Palestinian towns in the northeast and center late Friday after the East Jerusalem funeral of the teenager, believed to have been abducted and murdered by Jewish extremists. 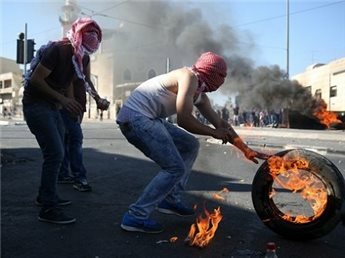 Around the central town of Qalansuwa, angry Arab protesters stopped traffic, attacking Jewish drivers and torching their cars, public radio reported. A rocket and a mortar round hit southern Israel from Gaza early Saturday after militants fired 18 on Friday, the army said. Both struck open ground and caused neither casualties nor damage, a spokeswoman said. The persistent rocket fire came despite Egyptian efforts to broker a renewed truce between Israel and its Islamist foe Hamas in and around Gaza following a flare-up of cross-border violence. There has been a surge in militant rocket fire and retaliatory Israeli air raids since the kidnapping and murder of three Israeli teenagers last month prompted a huge Israeli crackdown on Hamas in the occupied West Bank. The abduction and killing of Mohammed Abu Khdeir, 16, is widely believed to have been a revenge attack, although Israeli police insist the motive remains unclear. The results of a post-mortem were expected later on Saturday. The teenager's funeral, which was joined by thousands of mourners on Friday, some of whom fired weapons into the air, was accompanied by clashes across Israeli-annexed Arab east Jerusalem. A total of 62 Palestinians and 13 police were reported injured. Police arrested 20 Palestinians involved. 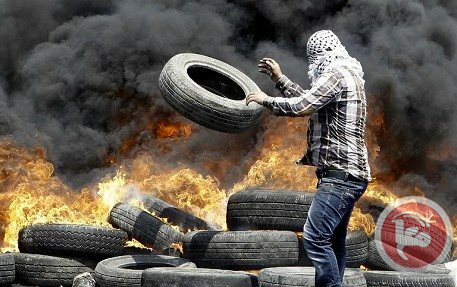 Disturbances spread to the Palestinian towns of Taibe in northeastern Israel and Jaljulia and Qalansuwa in the center, where police said they responded with "riot dipersal methods," a term usually meaning tear gas, stun grenades, and rubber-coated bullets. More a dozen Palestinian citizens of Israel were arrested, they added. Israeli fighter jets bombed three Hamas sites in the southern Gaza Strip late Friday after 14 projectiles were fired from the besieged enclave into southern Israel, military officials said. 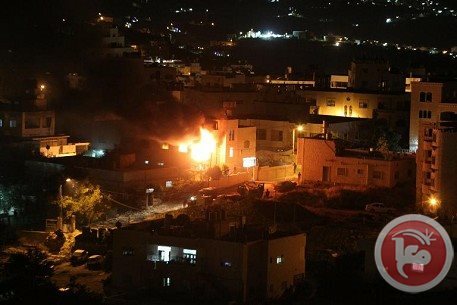 In a statement, the Israeli military said the bombings were in response to "constant rocket fire" toward southern Israel from the Gaza Strip. "Since midnight, 14 projectiles were fired at Israel. 10 rockets and mortars hit Israel, 3 were intercepted by the Iron Dome missile defense system and 1 landed in Palestinian territory," it said. "Since the kidnapping of the three Israeli teenagers, approximately 150 projectiles were fired at Israel, out of which approximately 98 landed in Israel and 18 were intercepted by the Iron Dome," the statement said. Earlier, a Palestinian was shot and critically injured by Israeli forces in the central Gaza Strip. Medical sources said he was shot in the chest and taken to a hospital. 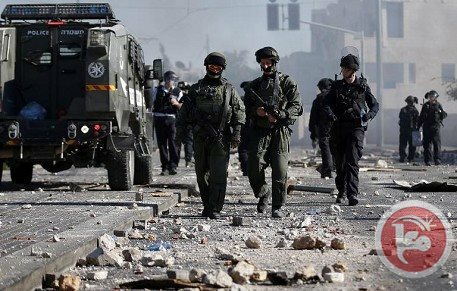 The army said it opened fire at Palestinians who approached the fence and were suspected of attempting to plant an explosive device. Hours before that, Israeli forces fired multiple mortar shells at southern Gaza, locals and Israel's army said. 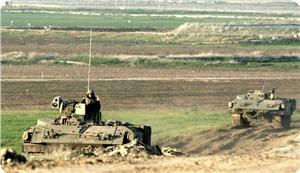 Witnesses said that tanks fired at least three shells east of Rafah that targeted the abandoned Yasser Arafat airport. An Israeli army spokeswoman confirmed at the time that Israeli forces used mortar fire in the southern Gaza Strip in response to two mortar shells fired from Gaza. The mortars landed in the Eshkol regional council with no injuries reported. According to an unnamed Hamas officials, a ceasefire could be declared in the coming few hours between the Hamas movement in Gaza and Israel, under direct Egyptian mediation. According to a BBC report, Egyptian mediators held extensive talks with Israeli and Hamas officials, and managed to reach an agreement for a ceasefire that would be declared in a matter of hours. The deal is meant to stop Israeli hostilities and ongoing bombardment targeting different parts of the besieged and improvised coastal region, and to stop the firing of shells from Gaza into adjacent Israeli areas. 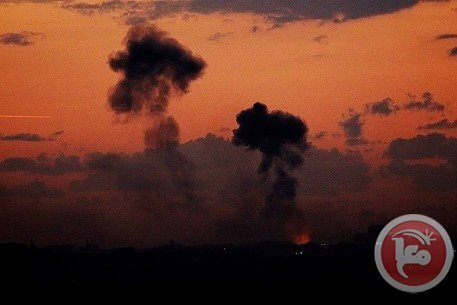 On Thursday evening, Hamas and Israel traded accusations and threats of a larger escalation in the region, while Israel claimed its offensive is “only meant to stop the firing of shells from Gaza”, while Hamas and other armed groups said that the shells were fired it retaliation to the ongoing Israeli aggression. The Al-Qassam Brigades, the armed wing of the Hamas movement, said Israel’s threats, and the deployment of its soldiers, do not scare it, and vowed a fierce battle should Israel conduct further escalation on Gaza, or attempt to invade it. Israeli Prime Minister Benjamin Netanyahu threatened to wage an extended war on Gaza, and said that Israel is ready for two scenarios; “calm and end to rocket fire from Gaza, or a military operation with full force to secure cities in southern Israel”, the Arabs48 news website has reported. Netanyahu’s statements came during a dinner marking America’s Independence, with the American ambassador at his home, near Tel Aviv, Israeli sources said. During a press conference held on Thursday evening in Gaza, Abu Obeida, spokesperson of the al-Qassam Brigades, said the brigades and all armed groups in Gaza are ready for all possible scenarios. Israel warned Hamas Thursday against any escalation in violence, reinforcing its Gaza border amid heightened tensions after the murder of a Palestinian teenager. Two rockets were fired early Friday from Gaza, Israeli media reported, both landing in an open area near Sderot. There were no reports of airstrikes overnight. Hamas' al-Qassam Brigades warned Israel to wind down its Gaza airstrikes and widespread West Bank arrests -- mainly of Hamas members. The war of words came as Palestinians in East Jerusalem protested for the second day against the abduction and murder of 16-year-old Mohammed Abu Khdeir. The family lawyer told AFP the boy's body had been burnt "beyond recognition". After an autopsy Abu Khdeir will be buried following traditional Friday prayers, the first of Islam's holy month of Ramadan. Hamas said it held Prime Minister Benjamin Netanyahu's government directly responsible for Abu Khdeir's killing. As tensions rose, army spokesman Lieutenant Colonel Peter Lerner said "we are moving and we have moved forces in order to serve defense activities and forward preparation, but we have no interest in escalation". "We are prepared for two possibilities in the south," army radio quoted Netanyahu as telling a July 4 reception at the US ambassador’s residence. Netanyahu denounced Abu Khdeir's killing as "despicable" and urged both sides "not to take the law into their own hands". Outgoing Israeli President Shimon Peres in a statement called for restraint. Witnesses told AFP they saw Abu Khdeir being forced into a black Honda Civic by "two Israelis" with a third in the driving seat. It then drove off at high speed, evading two cars which tried to follow. The killing drew condemnation from around the world, including from the UN and the International Committee of the Red Cross, which said the abduction and murder of civilians "must stop now". Tensions have soared since June 12 when the three Israelis disappeared in the West Bank, triggering a vast search and arrest operation which saw over 600 Palestinians detained and at least six killed. 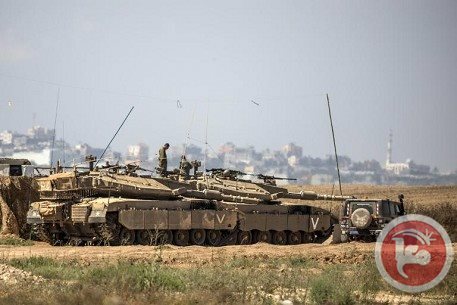 Israeli tanks fired on Friday morning two artillery shells east of Rafah area in the south of the Gaza Strip, while the Palestinian resistance responded by firing four mortar shells at Karem Abu Salem military site. The state of calm that was prevailed during the past few hours in Gaza Strip was broken after firing two artillery shells on Gaza International Airport, local sources told the PIC reporter. No injuries or material damages were reported. In turn, Palestinian resistance have targeted Karem Abu Salem military site with four mortar shells. A state of anticipation has been prevailed since the early morning hours in Gaza Strip after several air raids carried out last night. 35 rockets were also fired towards Israeli settlements. Unconfirmed sources said that efforts led by Arab parties have been made to reach ceasefire without official confirmation from Hamas. 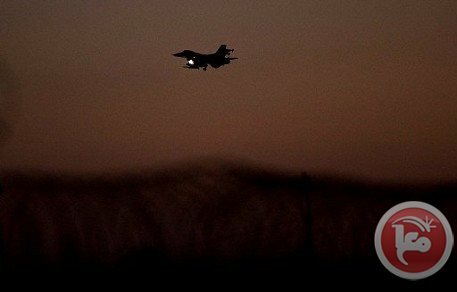 Israeli warplanes launched a series of air raids overnight in different parts of the Gaza Strip, security sources told the PIC reporter. For its part, the Palestinian resistance fired last night more than 30 rockets and five mortar shells toward Israeli settlements and different targets. Hamas called Thursday upon all Palestinians to engage in “the revolution of Shufat” with every possible tool in their power to aid the resistance. Fawzi Barhoum said that “the revolution of Shufat” and its intifada show that all the violations, suppression and intimidation “cannot keep the Palestinians down” but only makes them hold onto their rights and resist. Israel's army said Thursday it has moved a small number of reinforcements toward the border with Gaza, following an uptick in rocket fire and airstrikes overnight. The deployment also comes amid rising tension after a Palestinian boy was kidnapped and killed, apparently in revenge for the murder of three Israeli teens in the West Bank. "We are moving and we have moved forces in order to serve defense activities and forward preparation, but we have no interest in escalation," army spokesman Lt.-Col. Peter Lerner told journalists. The reinforcements were reserve officers at "headquarter level, not in the field," Lerner said, and were purely a defensive measure. 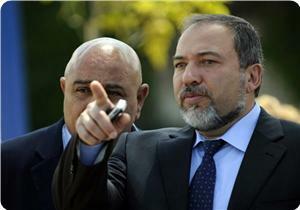 "We have no interest in deepening the conflict with Gaza," he said. More than 30 rockets were fired on Wednesday and Thursday from Gaza, the army said. Lerner said Hamas itself fired some of the rockets. Israel responded with airstrikes, wounding 11 Palestinians in the Strip. Some rockets landed in southern Israel, causing damage to buildings but no casualties. Hamas warned Israel it would "pay the price" for the abduction and killing of 16-year-old Mohammed Abu Khdeir in East Jerusalem on Wednesday. The murder triggered protests in Shufat, where Abu Khdeir's family lives. Clashes erupted between Palestinians and Israeli riot police, raging from dawn on Wednesday until the early hours on Thursday, also spreading to many other areas in east Jerusalem. Over 170 Palestinians were injured by rubber-coated steel bullets and there were reports of live fire. Abu Khdeir's killing is believed to be a revenge attack for the kidnap and murder of three Israeli teenagers who went missing on June 12. Israel blamed Hamas for abducting and killing the three Israelis and waged a crushing arrest campaign against the movement's West Bank network, which resulted in the deaths of at least 6 Palestinians and saw over 600 people detained. 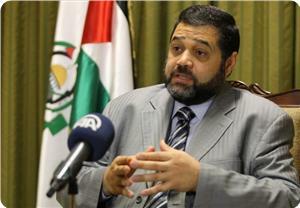 Hamas has denied allegations it was behind the kidnapping. Three rockets fired from the Gaza Strip struck the Sderot area late Thursday, an Israeli army spokesman said. Israeli warplanes targeted the southern Gaza Strip on Wednesday, Israel's army said. "An IDF aircraft targeted a launching site which was used to fire four mortars into southern Israel at 6 p.m. this evening. 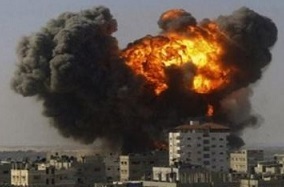 A direct hit was confirmed," an Israeli army spokeswoman said. Witnesses told Ma'an that the strikes targeted an area east of Rafah, with no injuries reported. Earlier, three mortar shells were fired into southern Israel from Gaza, landing in the Eshkol regional council, Israel's army said.